2015 was…a great year! Maybe not so much for reading and blogging, because I kind of stepped away from both for awhile, but lately I’ve gotten back into the kick of reading again, and have started to reevaluate why I read and how reading is such a huge privilege to have access to. I made tons of friends, read a ton of great books, and overall just felt good about myself this year. How can you go wrong with that? That being said, let’s kick off 2016 with a bang! In 2016 I’m setting my Goodreads Challenge a bit lower, since this year I went a bit overboard and couldn’t quite reach my goal. So I’m going back to my usual 100 books to read by the end of the year. As for challenges, I’m only going to be participating in one (so far). 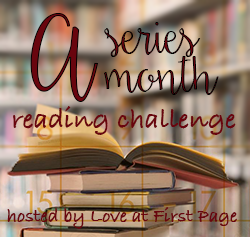 And that is the 2016 A Series A Month Reading Challenge hosted by Danielle over at Love At First Page (click the links for all the information). I have A TON of series’ that I need to conquer this year, so this is going to be a perfect challenge for that, and hopefully will help me lower my TBR count. I’m not 100% which one’s I’m going to read throughout the year but in Jan. I hope to start with The Darkest Minds by Alexandra Bracken then move onto Lunar Chronicles in Feb. and Throne of Glass March. EEEE The Darkest Minds. I love that series so much. Are you gonna try to read it before the book signing? I’m actually thinking of not doing a goodreads challenge next year because it puts too much pressure on me and I’m curious to see how much I’ll actually read without the pressure. You’ll have to keep me updated. I’m so curious to see what you think of Liam and Chubs because they are my favorite bros of all time. And I will let you know! I might do a post about it and then come back to it in a couple of months to see my progress. I was doing so good and then I had to take a hiatus and I got so behind and I felt so bad. No bad feelings in 2016. Oh my god I typed 2026 three times and then 3026. I can’t type. Or I don’t know the year. Maybe your subconscious is telling you that you want to live in the future? LIVE IN THE MOMENT SAM. And I will definitely look forward to that! You’re right, no bad feelings in 2016! Yes. I want to be a robot. So badly.